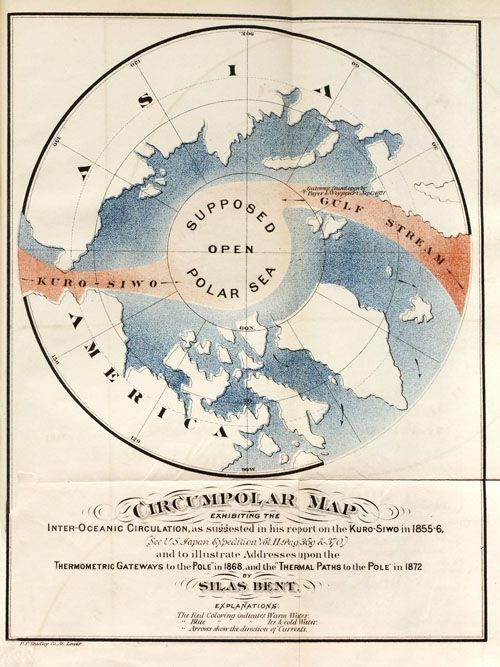 The myth of the Open Polar Sea was a theory that was floated and romanticized by theorists and explorers dating from the 16th until the late 19th century. It was thought that the north pole may be surrounded by a sea rather than thick ice and so would allow a navigable route and sea passage. This long fanciful idea of an Open Polar Sea and free sailing between Europe and the Pacific is now becoming a potential reality with Arctic ice shrinkage due to climate change. We set ourselves as a species and our myths adrift when we venture into the Open Polar Sea and uncharted waters. This collection of pieces uses sculptural approaches to the sound of the solo violin as a starting point; be it through abstract improvisation, the intangible nuances and shapes of Feldman, the raw timbre and techniques of Sciarrino and Fuhler, the blending of electronics with solo violin in Damian Barbeler’s Confession series, or the use of Daniel Blinkhorn’s arctic ice and water field recordings that inspired Anna’s violin improvisations and their resulting transformation. This piece uses a soundtrack made by Fuhler (using piano, guitar, lamellaphones and melodica) accompanied by a live improvisation by Anna, resulting in a floating, momentary dreamlike but receptive state. This is one of only two solos for violin written by Feldman. This work, involving a large amount of enharmonic notation, (B#s, G double flat etc), was a work in progress that lay unpublished until the manuscript was published in the journal Musik Texte (May 2012) to accompany an article about intonation by the Canadian violinist and composer, Marc Sabat. Feldman was interested in expressive intonation around this time, especially for string players. Leaving room for ambiguity, changing nuances and the "in- betweeness of things". The work has a hypnotic, static, yet speculative atmosphere and, like many of Feldman's works, creates a space and time-frame of its own. Written in 1975/76, these are three of the Sei Capricci composed by Sciarrino for solo violin. They are virtuosic studies in the tradition of Paganini but based almost completely around the use of harmonics. The resulting rich timbral variation and violinistic possibilities in sound colour and technique give these works a unique place in the violin repertoire. A constant drifting of spectral energies across the gestural, timbral and textural continuum unfold throughout the work. Field recordings of ice and the natural surroundings of the high arctic region of Svalbard inspire the formation of gesture and timbre on violin in a series of improvisations by Anna. This in turn shapes the trajectory of both electroacoustic materials based on the same field recordings. Daniel Blinkhorn is an Australian composer and new media artist who works extensively with electroacoustic music. His creative works have received over 25 international and national composition awards and he has worked in a variety of creative, academic, research and teaching contexts. An ardent environmental sound field recordist, he has embarked upon a growing number of recording expeditions around the world. Originally written for the violinist Janine Jansen, as part of a collection of 24 Caprices written by Dutch composers. Dozijn uses extended techniques such as fingernail pizzicatos, three strings played simultaneously and harmonics. The piece uses a motif of four notes playfully transposed throughout the piece. This multitrack recording of three violin solo improvisations was recorded by Anna: each improvisation being a potential explorer on the Open Polar Sea. This collection is in memory of Anna’s father, Tony McMichael. He was untiring in his years of dedication to humanity and the health of populations, particularly in researching and warning us about the likely consequences to the health of current and future generations of human-induced climate change.